The follow-up to Santigold‘s debut album, Santogold has been over four years in the making, and in that time, the anticipation and expectations from her devoted fan-base have been steadily building. Santigold debuted in 2008 as a total innovator—she was quickly praised for her ability to seamlessly blend genres and experiment with different styles, giving us a refreshing and exciting glimpse into her uninhibited talent. When her fans finally listen to her sophomore effort, within the first two songs it will quickly become clear that this fundamental aspect of her persona as an artist has remained as strong as ever. 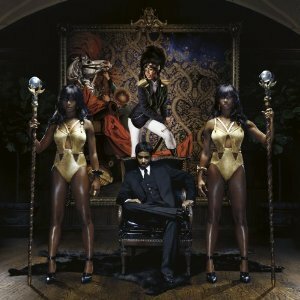 In fact, Master of My Make-Believe marks a true transition for Santigold, and the diversity between the two albums is a true testament to her creativity and innovative spirit as an artist.